You don’t need to be a black market guru to know what nootropics are. 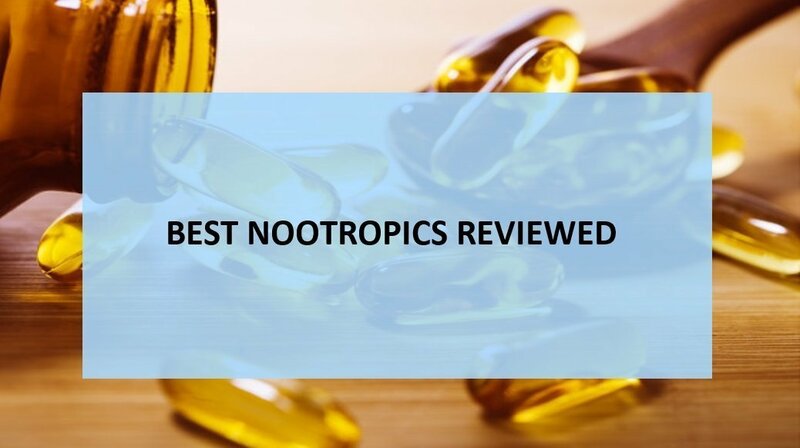 In fact, by simply searching the words “best nootropics” you’re likely to come up with a pretty long list of alternatives. Noots come in all shapes and sizes – some in the white markets, others in the gray market and quite a few others in the black market. The biohacking trend is most likely to thank for this surge in smart drug popularity. 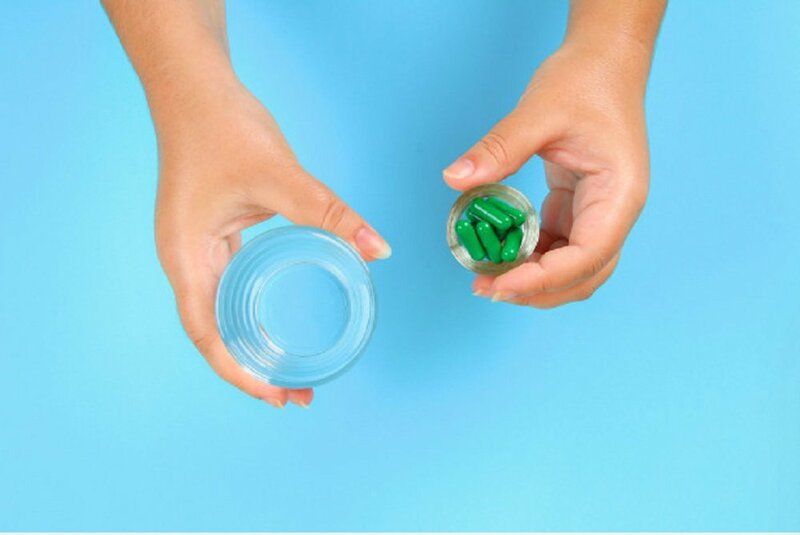 Everyone from the Silicon Valley coders to Wall Street entrepreneurs and college students is counting on the extra power of these “smart drugs” to maximize their performance (or so it seems). Final Thoughts – Which One Wins? Even with all that said, the market for noots remains largely unregulated meaning that there always is a possibility of landing some below-par supplements. And so, to prevent that from happening we decided to compile the following comprehensive list of products that we happen to think are the top ones on the markets currently. We have made the list easier for you to understand by dividing it into three sections: Pre-made Stacks, Natural and Synthetic Nootropics. The following is a list of ready-made and branded nootropic stacks. These ones normally comprise different ingredients with some of them having as many as 28 ingredients per serving. Comprising 11 ingredients, Mind Lab Pro is one of the most sought-after nootropics currently. The stack is made by a UK-based company known as Opti-Nutra and so far, it remains perched at the very top of the latest nootropics reviews. In particular, it contains CDP-choline (Citicoline) which is a well-known choline precursor. And as you know, by having a high level of choline, it’s possible to optimize your brain energy and productivity as well. The fact that it has a relatively short list of ingredients (on average) makes it a superior choice for anyone with a sensitive stomach. That’s made even better by the fact that MLP is a clean label supplement – meaning that it doesn’t contain any additives or even preservatives. What’s more? All of its ingredients are earth grown. 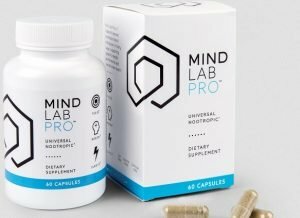 And, therefore, if you still don’t like the idea of taking laboratory-made brain enhancing supplements, Mind Lab Pro would be a really superior choice. Small qualms with the, otherwise, perfect stack would be that it’s a bit out of reach for folks on a limited budget. With a single bottle of it going for $65 (60 capsules) you need a consistent income to sustain a Mind Lab Pro habit. And to make matters worse, the company doesn’t offer discounts for bulk purchases e.g. even if you buy 3 bottles of it, you’ll still need to part with $195. In our honest opinion, MLP is an ideal stack for the quality-conscious biohacker – one who doesn’t mind paying a few more dollars for consistent quality. Qualia Mind is probably one of the nootropic stacks with the largest quantity of ingredients per serving. It contains 28 ingredients. In our view, the wide list of ingredients is meant to tackle multiple pressure points. It seems like there is an ingredient for almost everything inside this stack. So, whether you are looking for something that can increase your focus, prevent cognitive decline, boost memory – practically everything you can think about, Qualia Mind has got you covered. In our view, this would be a perfect supplement for anyone who is generally looking to boost their brain power. Unfortunately, its expansive list of ingredients increases the chances of developing stomach complications. So, you might want to avoid it if you have a sensitive tummy. But generally, the team behind this product seems to have done a great job in terms of product development, quality assurance, packaging and so forth. It’s no wonder Qualia Mind is still one of the most popular cognitive enhancers out there today. This is the flagship product of a company known as Onnit Labs. It has been produced since 2010 meaning that its creators have had enough time to perfect its formula. Indeed, Alpha Brain is one of the popularly recommended pre-made stacks on different platforms including Longecity and Reddit. To be honest, there is quite a lot of hype around this product especially following its endorsement by Joe Rogan. Beyond the hype, you get a 3-in-one blend bringing together the flow, focus, and fuel blends. So, as you can imagine, it is meant to improve productivity and to also fire you up for the day ahead. As such, it would be a perfect bet for busy professionals, creatives and even athletes. That’s particularly because its formulation is quite clean and confirmed to be free of any of the performance enhancing drugs on WADA’s list. 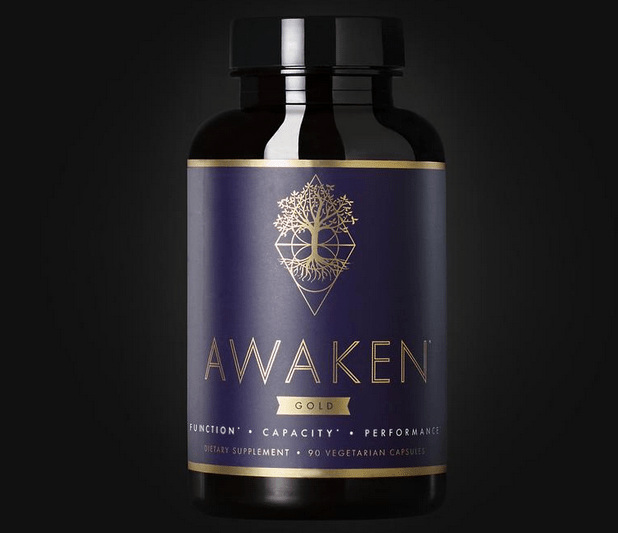 Created by a company by the name of Awakened Alchemy, Awaken Gold is, to many, a game-changer in the world of biohacking. The original version of it, Awaken, is still popular on the market but it’s Awaken Gold that seems to have left a few tongues wagging. The reason behind its popularity is probably the inclusion of Noopept. So, if you have happened to use Awaken itself and liked it, Awaken Gold is likely to dazzle you with its potency. Just like Mind Lab Pro, this particular ready-made stack brings together 10 different ingredients. And these include adaptogenic herbs, amino acids, multi-vitamins as well as powerful nootropic compounds. The addition of Noopept to this list is meant to ensure that peak performance is achieved. 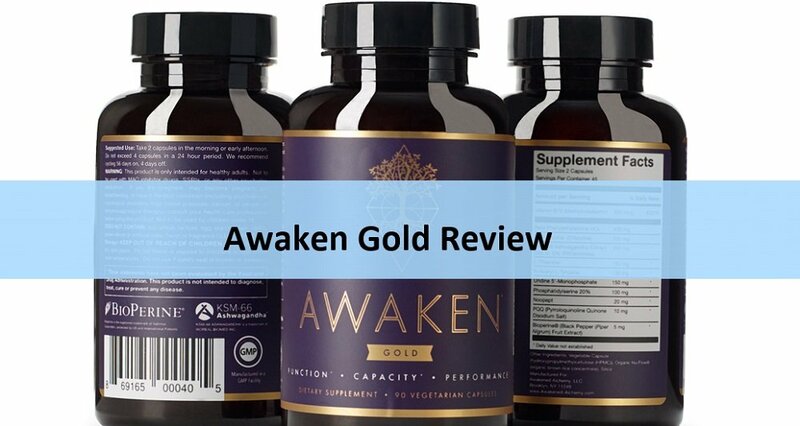 Click here to learn more about Awaken Gold. As its name suggests, this is a blend that’s meant to optimize your mental performance. Made by a Texas-based company known as Alternascript LLC, Optimind has been battling for the topmost position in this niche since 2013. The product comprises 12 ingredients all which are apparently handled in a cGMP lab for optimal safety and effectiveness. One thing that sets this product apart from the rest is the fact that its effects tend to kick-in quite fast. In fact, on average, it takes roughly 15 minutes to feel its effects which is probably because it contains caffeine. Caffeine is a rather controversial nootropic and that’s because some people experience a crash after taking it. But unless you have some really specific issues with it, caffeine’s benefits seem to exceed its demerits. 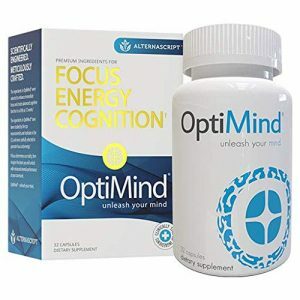 What you need to know is that Optimind has all kinds of ingredients some like caffeine are meant to kick in fast while others like Phosphatidylserine are meant to achieve long-term benefits. Therefore, you can use this product as a replacement for your evening pick-me-up cup of coffee. At the same time, you can count on it to nurture a strong and healthy brain. Although the company behind it heralds it as one of the best nootropics ever made, we choose to remain conservative in making a conclusion about that. First off, its packaging is no doubt one of the best-made ones out here. And from the onset, it’s possible to see that this product is all about enhancing cognitive function and boosting learning power. In total, this stack comprises 8 ingredients and the best part is that caffeine isn’t one of these. Noocube is made by a company that’s based in Cyprus and one that goes by the name of Wolfson Berg Limited. The fact that it’s manufactured from outside the US makes it a bit challenging to ascertain the quality of its ingredients. It is not clear whether or not it’s handled in line with the FDA and cGMP standards. However, just because a product is made from outside the US does not always mean it’ is pure hogwash. And if the different Noocube reviews are to go by, this is a pretty well-made food supplement and it’s capable of giving other US-made noots a run for their money. The company behind this product simply goes by the name Natural Stacks. Apart from Ciltep, they also produce Genius Joy, Smart Caffeine and the GABA Brain Food products. All those products have taken top positions in their respective markets effectively showcasing just how effective this manufacturer is. One thing we know about Ciltep is that it’s probably one of the most effective memory builders on the markets so far. It’s also used in the management of ADHD and related symptoms. In particular, this product does a stunning job of improving the production of dopamine. As you know, dopamine is one of the crucial neurotransmitters that are involved in ensuring that the brain is adequately powered throughout the day. So, the keyword here is brain energy. Therefore, if you’re struggling with fatigue or drowsiness during the day and you want something that can help improve your ability to focus, Ciltep might just be the perfect choice for you. Bringing together the like of N-Acetyl L-Tyrosine, Acetyl L-Carnitine, and even Noopept, Nitrovit does not take any chances in optimizing your brain. Over the years, this product has seen its formula advance in line with the ever-growing needs of its market. In 2016, the company behind (Neuro Laboratories) increased the money-back-guarantee period for Nitrovit from 60-days to 1-year. That alone points to the fact that this company has seen its confidence in the product grow with time. Indeed, the team behind Neuro Laboratories that’s also led by Archie Marks seems to have gone above and beyond the call of duty to create a product that keeps getting better with time. In fact, in a past presser, Archie Marks (the CEO) claimed that it took him 8 years just to perfect the formula of this product. That was back in 2014 and you can rest assured that this formula, just like fine wine, has only gotten better with time. And yet at the same time, Nitrovit remains one of the best low-priced stacks out there in the world. In total, it comprises 13 clinically proven ingredients among them a generous supply of 37.5 mg Noopept. As you might be aware, the optimal dosage of Noopept is 10mg to 40mg – so you can bet that this formula is as powerful as “powerful” can get. The icing on the cake is that this product is entirely made in America and in a GMP-certified handling facility which is based in Elmwood Park, New Jersey. Natural noots are called so because they are entirely made up of earth-grown nutrients. Therefore, they generally tend to be safe for use. Please note that these are standalone nootropics which can be taken individually or stacked. This a relatively popular adaptogenic herb which has featured in Ayurvedic medicine for thousands of years. 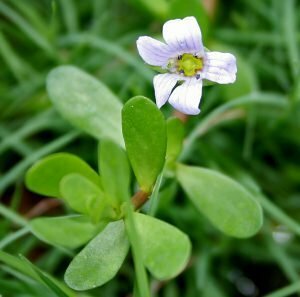 Indeed, Bacopa is a fantastic supplement for anyone looking to reduce stress, boost focus, and also improve memory (see study). One thing we really like about it is that it also works by boosting the production of essential neurotransmitters among them GABA, serotonin and dopamine. And if you’re stressed, the fact that Bacopa reduces the production of cortisol means that it can come in handy in helping you cope with stress-related condition better. Inside Bacopa are active compounds simply known as bacosides. These come in handy in protecting your brain from oxidative stress which also means that it can improve the manner in which nerve signals are transmitted. Most importantly, bacosides enrich the hippocampus part of your brain which is required in the storage of hormones and emotional responses. Some call in yamabushitake, others refer to it as hou tou gu but whichever way you look at it, this shaggy mushroom is a game-changer in the nootropics world. For many years, the wild mushroom which is thought to resemble the lion’s mane has been a part and parcel of the Asian medical and culinary culture. Some have even likened it to some seafood e.g. crabs and lobster. What really matters, though, is that it contains certain, potent bioactive compounds that can optimize your brain. In this study, scientists found compelling evidence that lion’s mane contains erinacines and hericenones. Those two play a pivotal role in stimulating the production of new brain cells and the restoration of the weak ones. It is for this particular reason that the mushroom is recommended for dealing with memory loss issues in folks suffering from the Alzheimer’s disease. However, more studies still need to be done to ascertain its effectiveness in the management of the Alzheimer’s disease. Moving on, this nootropic is a popular option for managing mild symptoms of anxiety and depression. It contains anti-inflammatory properties which make it a key pillar in the suppression of anxiety and depression symptoms. The French Maritime pine bark, also known as Pinus pinaster, is a tree that’s grown in the Mediterranean region. When you make an extract from it, you’ll find that it’s rich in Pycnogenol. Pycnogenol has the incredible ability to prevent the breakdown of norepinephrine and dopamine thereby providing your brain with the stability it needs to thrive even in stressful situations. Another benefit of the pine bark extract is that it helps improve blood flow to your brain. It does this by improving the quantities of nitric oxide in your body which effectively dilates your blood vessels. It’s also worth mentioning the fact that pycnogenol is also quite helpful in repairing and maintaining the integrity of your blood vessels. Last but not least, this extract can play a central role in preventing the build-up of oxidatively damaged proteins in your brain. This is further, thought to reduce the risk of cognitive degenerative ailments such as Huntington’s, Alzheimer’s, and Parkinson’s disease. Who needs an introduction to Ginkgo Biloba? After all, it’s probably the most popular herbal nootropic in the entire world. What we particularly like about it is the fact that it contains some powerful cognitive enhancing properties. To begin with, this noot is renowned for its natural abilities to increase blood circulation in the body. With more blood flowing into the brain, the brain cells receive adequate oxygen. And the more the oxygen in those cells, the higher the likelihood of them producing more brain power. Besides that, Ginkgo does a stellar job of balancing brain chemicals. It also protects your brain from the damage likely to be caused by free radicals. As such, this supplement is often recommended for its abilities to ease mental confusion and boost concentration. And lastly, this herbal extract is thought to decrease the levels of hormone cortisol in the body which effectively brings stress-related high blood pressure to an end (see study). The American Ginseng, also known as Panax qunquefolius has for a long time been a highly sought after or rather best natural nootropic compound. But why is this the case? Within a few hours of taking it, this product has the potential to boost your sharpness, nurture your mental clarity and also improve memory. All you need to do is take 200-400 mg of it and it will significantly help your brain battle fatigue. 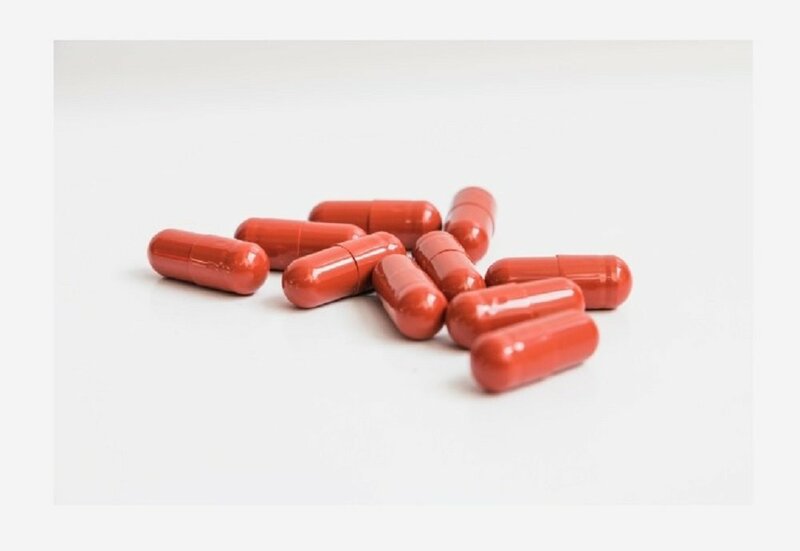 And even though numerous scientific studies have been conducted on its efficacy, it remains unclear how exactly this nootropic can improve your brain function. What is clear so far is that Panax ginseng contains anti-inflammatory effects which effectively protect your brain cells from oxidative stress. In the long-term, this can reduce the mortality rate of your brain cells and, therefore, safeguard your memory. This is an amino acid which is commonly found in raw tea leaves. It’s also found in small proportions in brewed tea – with about 25 mg of it being found per cup. In general, though, your body needs at least 200 mg of it to enjoy its key benefits which including the ability to calm the body without causing drowsiness. In particular, it boosts the production of dopamine, serotonin, and GABA the three neurotransmitters that are involved in learning, recollection and mood formation. On top of all that, L-Theanine is known for evening-out the alpha brainwaves which effectively puts your brain in a meditative state. As such, it’s a popular supplement for anyone seeking to achieve a state of calmness and better focus. Needless to say, L-Theanine would be a perfect nootropic for meditation and yoga. That said, it seems to work at its level best when stacked with caffeine. You can simply call it tyrosine and it’s available both in the L-Tyrosine form and the N-Acetyl L-Tyrosine forms. L-Tyrosine is the most common form of it although it’s the N-Acetyl L-Tyrosine that’s preferred by many owing to its high bioavailability. What you need to know is that tyrosine is a precursor of dopamine – a neurotransmitter which is required to sustain high levels of focus and motivation. In fact, it is low levels of dopamine that are to blame for those moody days in your life. By sustaining optimal levels of dopamine, you are able to manage different kinds of addiction and also overcome depression with ease. Yet another thing you need to know is that Tyrosine is actually an amino acid which means it’s a building block which favors the production of major brain chemicals. On average, you need 500 mg of tyrosine per day which means it’s highly unlikely that you’ll get enough of it from your daily meals. Fortunately, tyrosine pills are relatively inexpensive and can even be obtained over-the-counter. The reason why choline isn’t the most popular nootropic out there is that it’s naturally found in the brain. What’s more? There are numerous nootropics which act as choline precursors. However, when it comes to boosting the levels of choline in the brain, nothing beats CDP-Choline. One important role played by this supplement in the body is that it solidifies your DNA and cell structures all which are important in the maintenance of the whole body. Most importantly, due to its active involvement in the formation of neurotransmitters and cell membranes, choline can help preserve your memory. Yet another thing is that it enhances neuroplasticity by boosting the levels of acetylcholine in the brain. What you need to know is that the levels of acetylcholine tend to reduce as you age. And low levels of this substance can lead to a significant decline in cognitive power. To this end, there is overwhelming evidence that CDP-choline is the most usable form of choline with natural abilities to improve neural connections as well. Its benefits cannot be overemphasized. Originally obtained from the Chinese club moss also known as Huperzia serrata, Hup-A is a water-soluble alkaloid that’s believed to have the abilities to inhibit the production of acetylcholinesterase (AChE). AChE is a dangerous substance that tends to accumulate in the brain and it tends to reduce the effectiveness of acetylcholine (ACh). So, by inhibiting AChE, Hup-A helps unlock the full potential of the ACh available in your brain. We’d also like to say that it makes quite a lot of sense to stack Huperzine-A with choline especially if you want to boost your short-term brain performance. Another thing with Hup-A is that it’s an NMDA receptor antagonist – say what? Simply put, it has beneficial properties in preventing the accumulation of glutamate which tends to damage brain cells. The icing on the cake is that this nootropic also contains antioxidant properties. And as you can imagine, the ability to free up the brain from free radicals goes a long way in boosting brain cell longevity. Acetyl-L-Carnitine is nothing but a much-more bioavailable form L-carnitine. L-carnitine is an amino acid that’s often used as a supplement particularly owing to its role in boosting the production of the fatty acids that are needed by the mitochondria (see study). Mitochondria are the sites in your cells that are responsible for breaking down fatty acids to provide usable energy. And, therefore, by delivering more fatty acids to the mitochondria, L-Carnitine effectively delivers the fuel needed to provide torque. By increasing mitochondrial function, L-Carnitine also plays a role in fighting disease and also promoting healthy aging. There is also the argument that besides being a nootropic, L-Carnitine can work as a weight loss supplement. In theory, it makes sense that any supplement that is involved in the transportation of fatty acids for breakdown would also aid in weight loss. However, the human body is quite complex and, therefore, more studies need to be conducted to confirm how significant L-Carnitine’s weight loss results are. SAMe is yet another one of the elements that are naturally found in the human body. However, when its levels drop, most cellular functions are affected leading to a number of neurodegenerative disorders like fibromyalgia and even mood disorders. The supplementation of SAMe has the potential to produce numerous therapeutic effects which are thought to have effects that mimic antidepressants. And yet, unlike conventional antidepressants, it’s largely safe for over-the-counter use. That’s in addition to the fact that it has a faster-than-average onset as compared to the mainstream anti-depressants. However, much as it’s thought to be highly effective, its over-the-counter use should only be done for recreational use which means that your doctor’s advice should be sought when depression is involved. So, for now, we’d suggest only using SAM-e for managing mild cases of depression, stress, and even brain fatigue. Can you pronounce the words Pyrroloquinoline Quinone without biting your tongue? Well, that’s why we prefer to refer to it as PQQ or methoxatin. One interesting thing about it is that it’s not an ordinary nootropic because it actually possesses vitamin-like benfits. But perhaps its biggest role as a nootropic is its impact on mitochondrial functions in the body. PQQ has the ability to increase the number of mitochondria in the cells which also improves your body’s ability to generate energy. So, it’s safe to say that PQQ is one of the best nootropics for energy as it rejuvenates mitochondria. And on top of that, the noot seems to have properties that lead to the reduction of cortisol levels in the brain. Cortisol is a stress hormone and when it’s reduced, folks can have an easier time relaxing. Last but not least, a combination of PQQ and Coenzyme 10 (CoQ 10) is thought to promote cognitive health and memory enhancement. And that’s not to mention the fact that PQQ promotes NGF synthesis which enhances neuronal survival. Alpha-glycerophosphocholine or Alpha GPC is not a joke – just as its name implies. It’s a choline containing nootropic that’s obtained from sunflower or soy seeds. And besides it having this energy inducing ingredient it also contains a lipid tail that makes it highly bioavailable. Just 60 minutes after taking it, it increases your levels of growth hormone by up to 290% which improves mitochondrial activity and also fast tracks fatty acid oxidation. And indeed, within just a week of taking it, you’re likely to notice a significant increase in your physical strength. So, between Alpha-GPC vs Citicoline, which one is the best since they both perform almost similar functions? On its own, Alpha-GPC can only be equated to Citicoline only that Citicoline produces choline as a derivative while alpha GPC does the same but produces choline as a byproduct. Also, unlike Citicoline which basically increases the production of choline, Alpha GPC also helps in the production of the growth hormone. So in terms of effectiveness of increasing choline production, Citicoline wins but when it comes to the ability to hit two birds with one stone Alpha GPC takes the day. Also known as CoQ10, this is a compound that’s involved in the generation of energy at the cellular level. Normally, your body produces CoQ10 on its own only that the levels of this may reduce with age. Fortunately, there is a way to replenish that through foods and supplements. What you need to know is that CoQ10 is a compound that’s required by the mitochondria in the production of energy. In fact, some of it is stored in the mitochondria and used as an energy raw material and also in the prevention of oxidative damage. CoQ10 also contains strong properties which can help improve the circulatory system and also promote brain recovery. Known in full as gamma-aminobutyric acid, GABA doubles up as an amino acid and a neurotransmitter. Besides that, it inhibits the transmission of glutamate – too much glutamate can lead to seizures and, therefore, it’s important to maintain a healthy supply of GABA. 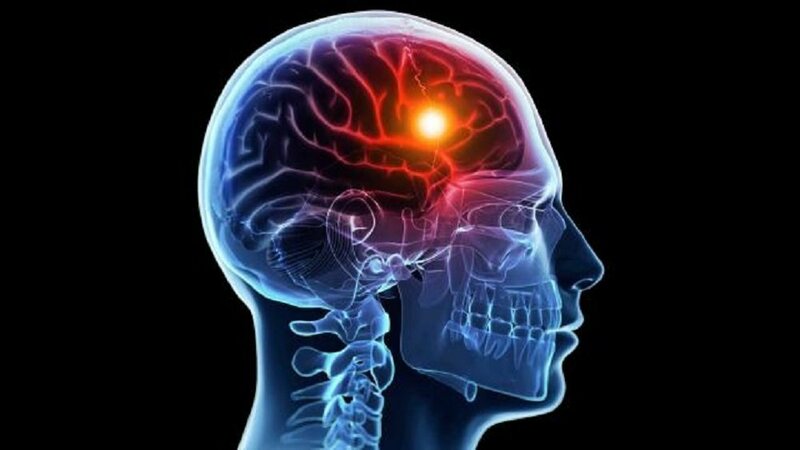 This is particularly important for stroke sufferers or folks who experience seizures. Feeling stressed? GABA is what one would refer to as brakes on neuron circuits when the body is under stress. When you’re running low on GABA, you’re bound to become anxious, restless and also face insomnia. However, too much of GABA can lead you into a coma and so your best bet is to take in moderate dosages. The normal doses of it are 500 mg to 1000 mg.
A molecule is neither good nor bad – it’ just a molecule, period! It is human thinking that draws the arbitrary lines that natural is good and synthetic is bad. When scientists are working in the lab, they are busy synthesizing new chemicals and that’s pretty much what happens when we cook in the kitchen or when we’re exercising. Therefore, refusing to take synthetic nootropics in favor of herbs only has nothing to do with being healthy. What matters the most is how the drug is handled throughout the processing stage and the kind of effects (both short-term and long-term) it’s likely to have on you. 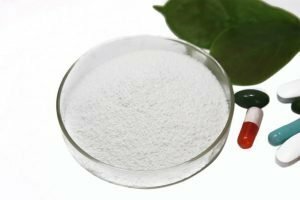 With that in mind, here is our run-down of some of the top chemically-synthesized nootropics that have become quite popular in recent years. This is a biosynthetic nootropic compound which can be banked on to boost cognition and mood. It has a half-life of 2 to 3 hours provided it’s taken within the typical dosage of 10-40 mg. Also popularly known as ethyl apovincaminate or Periwinkle Extract, Vinpocetine was first produced in Hungary back in 1975. To-date it’s popularly used in the management of cerebrovascular disorders and also in the management age-related cognitive decline. In the US, this is sold as a dietary supplement and is not regulated as a pharmaceutical drug. So, what exactly does this nootropic achieve? Well, to begin with, it is known for being a vasodilator which means that it has direct and specific effects on your circulatory system. And the improved flow of blood to the brain helps optimize the effectiveness of brain cells. And lastly, this ingredient is thought to possess anti-inflammatory benefits which makes it highly effective in stress management. Like all other racetams, Aniracetam works by influencing the production of acetylcholine. You probably are already familiar with acetylcholine and the fact that it’s fully involved in a myriad of cognitive functions that are responsible for memory formation. This fat-soluble noot is thought to be 10 times more powerful than Piracetam. Worth noting is that this drug came to the limelight in 1978 when a Swiss-based pharmaceutical company provided it to the markets. To this end, it is used as a prescription drug in Europe but only as a dietary supplement here in the USA. In regards to its effects, this racetam is reputed for its ability to boost memory and relieve anxiety. And to top it all up, it also improves sociability. Piracetam is the original racetam meaning that all kinds of racetams including Aniracetam and Noopept are based on its subtle formula. It came to the limelight in 1964 when a Belgian pharmaceutical company known as UCB Pharma launched it. Since then, Piracetam is considered the first true nootropic ever chemically synthesized. So, how exactly does Piracetam work and what are its effects like in the body? 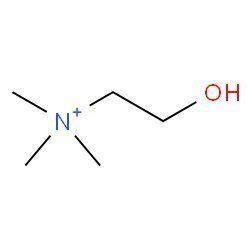 To begin with, this noot is actually a derivative of GABA which is basically what is known as a “calming neurotransmitter.” The first effect of piracetam is that it calms you down and provides you with a better way to survive stressful situations. On top of that, it is capable of boosting cognition by increasing the effects of acetylcholine. Besides that, it modulates the AMPA receptors thereby increasing the effectiveness of neurons in the transmission of impulses. 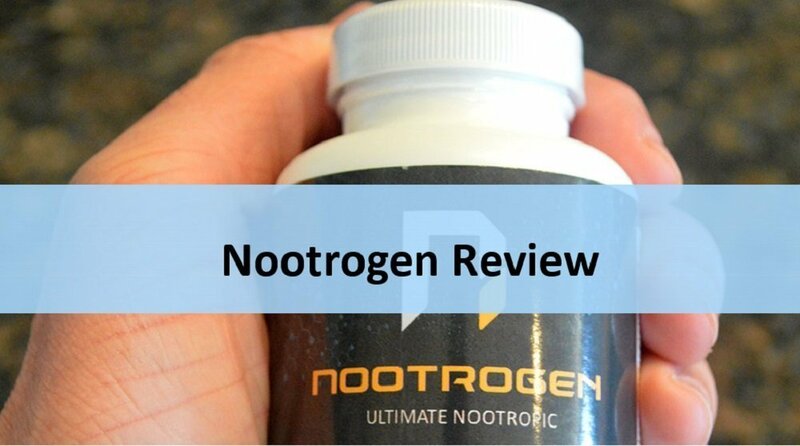 A scientific study once showed that Noopept is 1000 times more effective than Piracetam. However, Noopept is not considered a true “racetam” and that’s because it does not have a substance known as 2-oxo-pyrrolidine at its core. Another advantage of Noopept over other racetams is that it doesn’t show up in blood samples when taken. This is of great benefit especially to anyone working in an industry why frequent drug tests are required. Moving on to the effects of this “smart drug,” it’s known for boosting memory and cognition. And because it is quite powerful, only a small portion of it is required to achieve optimal effects. As such, it also doesn’t overwork the liver which is usually the case when you take Adrafinil. Besides that, Noopept enhances your nerve growth factor (NGF), supports neuroprotection and just like L-Theanine also evens out the Alpha and Beta waves. Some call it Alertect, others call it Provigil but whatever name is used to describe it, Modafinil remains one of the best nootropics that have ever been created. The “smart drug” has a half-life of 15 hours when taken in dosages of 50 to 200 mg.
That means you can take a small quantity of it in the morning and it will keep your brain revved up for the whole day! How cool is that? So successful is modafinil as a wakefulness agent that dozens of well-documented studies have rubberstamped its effectiveness over time. Unfortunately, its use is heavily regulated in the US and it’s quite difficult to find over-the-counter. That said, it is still possible to find it among some tough black market suppliers and gray market vendors like Afinil Express. Since it’s listed as a Schedule IV controlled substance in the USA, we would recommend exercising caution when buying or using it off-label. A safer way to experience Modafinil’s effects is by taking its alternatives one of them being Adrafinil. Commonly viewed as a safer and legal alternative to Modafinil, Adrafinil is a brain stimulant that was invented in France. If used consistently at 150 to 600 mg doses, it has the potential to achieve a half-life of 12 to 15 hours just like Moda. Unfortunately, it has to be taken in relatively high dosages especially among folks who are already used to modafinil for its effects to be fully experienced. This, therefore, means it can pile up quite some pressure over your liver and you might even notice a slight change in the smell of your pee after taking it for some time. For that reason, you need to strictly abide by the dosage recommendations and if possible, go for the least amounts of it possible per serving i.e. 150 mg. The good thing with it is that it is eventually converted into modafinil once in the body. And that way, it still helps you lock the many wonderful benefits of moda but in a safer and legal way. Some of its benefits include promoting wakefulness, enhancing cognitive energy, and helping in the management of mild depression among others. Learn more about Adrafinil in this post. This is a derivative of piracetam that came into the limelight in the 70s. And although its chemical structure is almost similar to piracetam’s, it is thought to be more potent. One major difference between the two is that piracetam peaks a little faster than Oxiracetam. Likewise, Oxiracetam tends to take longer in the body than piracetam even when both are taken in similar dosages. In terms of effects, Oxiracetam is known for promoting wakefulness. It has also been studied for its potential benefits in preventing cognitive decline and neurological conditions. We would suggest this racetam any day for anyone who wants to improve their memory. That’s because it tends to favor the functions of the hippocampus a feat that has been shown to go a long way in enhancing memory formation and retention (see study). Apart from Adrafinil, Armodafinil is the next nootropic that is closely related to Modafinil. And the beauty about it is that it has been FDA approved since 2007. The original idea behind its development was to create a product that helps folks deal with overwhelming daytime fatigue. Safe to say, just like Modafinil, Armodafinil is a wakefulness enhancer and can even be used in the management of mild cases of narcolepsy. Most importantly, it works by boosting the levels of dopamine in your head – as you know, dopamine is a feel-good-hormone. It also reduces the reuptake of this neurotransmitter into the nerves meaning that more of it is available for longer – meaning you get to feel stronger and excited for longer. The recommended dosage of armodafinil is 150 to 250 mg and its effects typically kick in in an hour. Once inside the body, it works just like Modafinil which means it has a pretty long half-life, lasting beyond 10 hours. It also goes by the name of Carphedon or Phenotropil and indeed, this Russia-made racetam has quite a few benefits packed up for you. With a typical half-life of 3 to 5 hours (at a typical dosage of 100 to 250 mg), it is probably one of the best racetams in town. Phenylpiracetam graced the markets in 1983 when it was launched by the Russian Academy of science for the treatment of prolonged stress among astronauts (source). To this end, the drug is still popularly used in the off-label setting owing to the observation that it enhances physical stamina and also boosts memory. However, it is not approved by the FDA and is yet to receive the nod of the FDA. To this end, it remains widely unregulated although it can be legally bought and sold. It, however, was recently banned by WADA as a performance-enhancing drug in the world of sports especially owing to its abilities to enable users to tolerate extremely cold conditions. Generally, Phenylpiracetam is a psychostimulant which makes it a perfect over-the-counter replacement for Adderall. Indeed, the drug has, in the past, been shown to combat sleepiness and also improve motivation. When it graced the markets, Pramiracetam was touted as the greatest racetam of all time. It’s only its nightmarish taste that made it fall from such high esteem. To-date, though, this potent drug remains a highly sought-after option among folks aiming to develop long-term memory. Just like Phenylpiracetam, it has a half-life of 5 hours when taken in the recommended dosages of 100 to 200mg for Phenylpiracetam and 200 to 400 mg for Pramiracetam. However, it is the latter that seems to have an upper-hand when debates of half-life come to the fore. Generally, Pramiracetam is still the best and probably fastest true racetam (other than Noopept which isn’t a true racetam anyway) for improving memory and improving cognitive abilities. Some users even claim that it helps improve sensory perceptions in addition to reducing social anxiety. Still with the Phenylpiracetam vs Pramiracetam debate, we’d like to note that the latter has a higher likelihood of causing nausea than the former. This is yet another one of the fat-soluble nootropics to make it to this list. Originally formulated in France where it is still used to reduce fatigue, this supplement has quite a number of benefits. To begin with, it is an antioxidant which makes ideal for detoxing the body. Besides that, it is renowned for its ability to stimulate gut activity and improve muscle strength. In regards to its role as a nootropic compound, it plays two roles and those are boosting memory and protecting the brain. One way it does so is by improving the levels of Vitamin B1 (thiamine) in the body which is directly involved in optimizing cognitive function. On top of that, it increases the production of dopamine which is a feel-good-effect hormone that’s needed to sustain high levels of motivation for long hours. Last but not least, it reduces the mortality rate of brain cells by increasing the levels of glutathione in the body. Adderall is a drug that is prescribed for the treatment of ADHD and other cognitive disorders. However, its off-label use has also gathered momentum owing to its perceived recreational benefits. 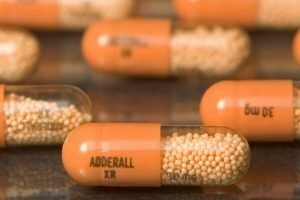 Adderall contains amphetamines which are powerful central nervous system stimulators. On average, the stimulatory effects of taking Adderall tend to kick in after 30 minutes of taking the pills. The results last for 3 to 6 hours. Basically, amphetamines improve the pace at which information is transmitted throughout the brain. They were discovered in 1887 and have been used in the management of various ailments. Unfortunately, amphetamines are addictive which is probably why using Adderall as a nootropic is quite dangerous. We have an article on healthy over-the-counter alternatives to Adderall which you might also want to read. It’s one of the best nootropics that have graced the scenes in recent years. Made from a combination of Vitamin B3 and Gamma-Aminobutyric Acid, one would be correct to argue that this is a simple and effective stack. Now, the fact that it is made up of GABA and Niacin might make you wonder why it’s included among the synthetic nootropics on this list yet it’s supposed to be all-natural. Well, the reason we included it in the list of lab-made noots is that the two ingredients are made and combined synthetically. Russian and Japanese scientists found out that by adopting a unique approach in the chemical synthesis of this substance it would be possible to cross the blood-brain barrier. The organic form of GABA does not cross this barrier which means that the brain doesn’t benefit as much from it. Therefore, the sole purpose of chemical-synthesis of Picamilon was to create something that would overcome any such limits and still achieve the benefits of the organic GABA. The product was, therefore, developed in 1969 and since then, it has been popularly used to reduce anxiety. Its niacin component is also thought to enhance cognitive functions. Lastly, the drug is also a vasodilator meaning it expands the blood vessels thereby increasing the rate of blood flow throughout the body. A study appearing on PubMed described it both as a tranquilizer and a nootropic drug (source). Just like Picamilon, Phenibut’s main active ingredient is a synthetic form of GABA which has the abilities to cross the blood-brain barrier. If taken at the recommended dosage of 250 to 500 mg, this “smart drug” can deliver an incredible half-life of 5 hours. But what exactly are the effects of taking it? 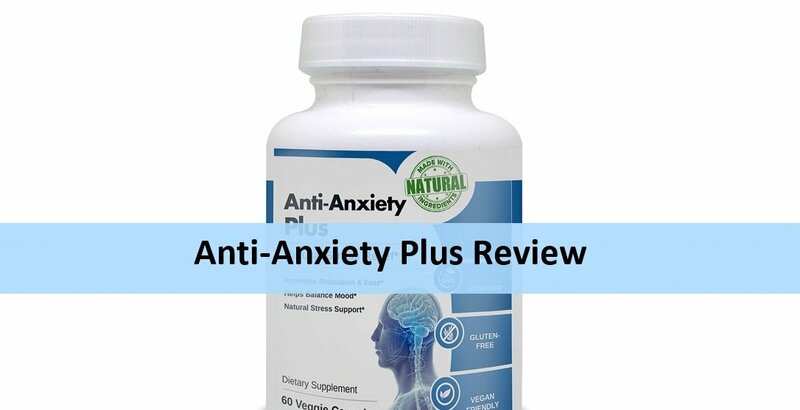 For starters, it is capable of calming the body and, therefore, managing symptoms of anxiety. One study showed that it actually has the ability to boost interhemispheric transmission in the brains of rats and mice. And while more studies need to be done to ascertain these benefits among human subjects, it’s pretty clear that this drug can help enhance cognition. Below is a quick table highlighting some of the leading nootropic compounds and the tasks they perform in the body. Please note that some supplements might appear in more than one category. NB: The table was compiled in 2018, 2019 and we’ll keep on updating it when new details are available. Q: How long does it take for nootropics to work? 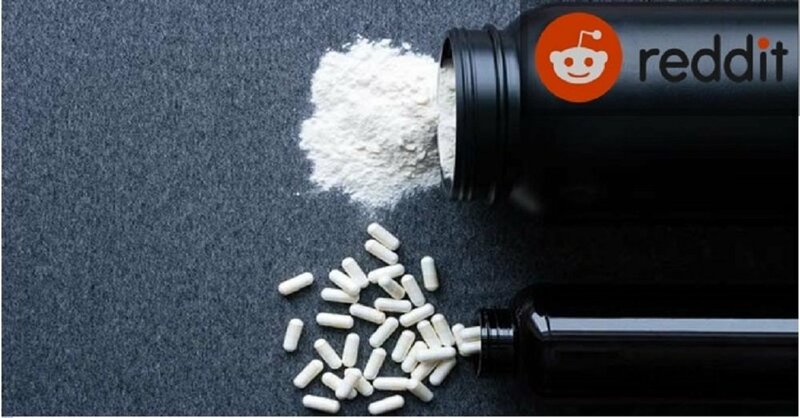 Q: Are nootropics good for you? A: Nootropics are generally safe and beneficial. Many people in the corporate world, athletes and students take them. It’s no wonder the global market for nootropics has been projected to reach $6 Billion by 2024. The future of nootropics looks bright and this speaks volumes on the numerous benefits “smart drugs” have to offer. Q: Do nootropics show up on drug tests? A: Common drug tests are about checking the presence of cocaine, PCP, THC, opiates, and amphetamines. As long as your nootropic doesn’t contain any of those, you can rest assured that it won’t show up on your drug test results. Q: What are the different types of nootropics? A: Many nootropic types exist but to sum up, there are natural nootropics which are obtained from herbs, plants and some animal tissues. Then there are synthetic ones categorized either as racetams, peptides, or AMPAkines. A: Some nootropics like ones that contain caffeine and/or amphetamines might be addictive. Be sure to look out for those two ingredients when making a purchase decision if you concerned about the possibility of a nootropic addiction. A: Yes and No. Yes; because they are scientifically studied drugs and provided you take them as directed (dosages vary) you should be safe. No; because they may interact with other drugs so be sure to talk to your doctor if you have any specific concerns before starting to use nootropics. Q: What are naturally available nootropics? A: Naturally available nootropics are ones that can be obtained from earth-grown plants. Some of these include caffeine, l-theanine, and bacopa monnieri. Q: Can nootropics increase your intelligence? A: Although most nootropics can improve your cognitive function and mental performance, there’s no evidence that they can make you a genius. What nootropics do is to provide you with the fuel you need to push your physical and cognitive energies to the limits. There are no one-size-fits-all best nootropics on the markets (at least for now). However, by taking a closer look at the various options available on the market, it’s possible to spot a few incredible options. Noopept has particularly taken the world by storm and we’re glad to see it forming a part of some of the popular pre-made nootropics like our favorite Awaken Gold.